(CNN) A new type of dengue vaccine called TV003 seems to protect people against at least one type of the virus, according to a small study. If further research can bear out its effectiveness, the new vaccine could eventually represent a big advance in controlling the most common mosquito-transmitted virus worldwide. Although another dengue vaccine recently became available in Mexico, Brazil, the Philippines and El Salvador, it may not be appropriate to use in countries such as the United States. 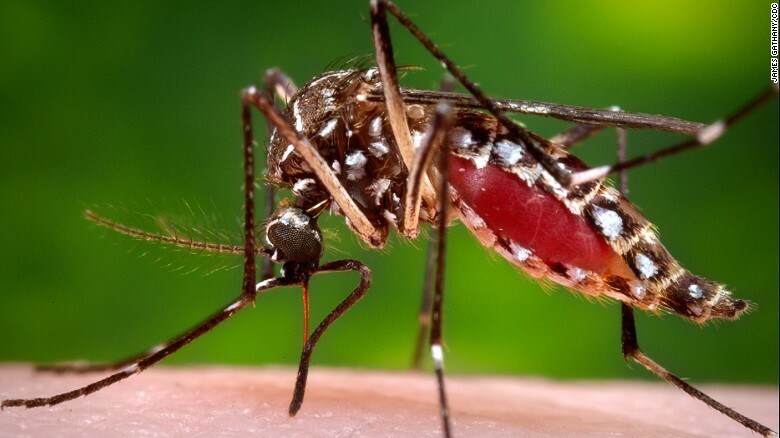 So researchers at several institutions in the United States set out to develop a new vaccine that would give people — including those who have not been infected — strong protection against all four types of dengue virus. “Control of dengue has certainly been a public health priority for many years. But getting there has not been easy,” Stephen S. Whitehead, a researcher at the National Institutes of Health who designed the new vaccine, said at a news teleconference on Tuesday. Whitehead is one of the authors of the study that tested TV003, which was published on Wednesday in Science Translational Medicine. The researchers decided to take a different tack in testing the vaccine. Normally the efficacy of a new vaccine is tested in large studies in areas affected by the disease, but those kinds of studies can take up to 10 years and cost millions of dollars. Although that research will still need to be done, “we really wanted to have an early clue that the (vaccine) would work,” Whitehead said. Instead, the researchers used a “human challenge model.” They gave TV003 to 24 adult volunteers in Maryland and Vermont, while another 24 adults got a placebo as a control. After one injection of TV003, 92% of participants in the vaccine group developed antibodies to all four types of dengue virus. The only side effect associated with the vaccine was a rash around the injection site, which typically went away in five to 10 days. But the biggest question is whether the new vaccine can prevent dengue infections. In the “human challenge” part of the study, the participants were artificially infected — using a needle, instead of a mosquito — six months after receiving TV003 with a highly weakened version of dengue virus Type 2.Previous studies have suggested that Dengvaxia does not protect as well against Type 2 as Types 1, 3 and 4. None of the vaccinated adults got infected, whereas 80% of the individuals in the control group developed a rash and all of them had detectable dengue virus in their blood. This type of experiment could be “totally unethical,” but in this case, the researchers got consent from healthy adults and used a form of the virus designed to be very weak, said Dr. Sarah George, an associate professor of infectious diseases at St. Louis University. George was not involved in the current study. As the researchers discussed in the teleconference, this type of approach has been used to develop vaccines for a number of diseases, including malaria, flu and cholera. The researchers are now testing whether the TV003 vaccine can protect people from the three other types of dengue virus. They are currently challenging study participants with Type 3 and hope to have results by late spring or summer. ar, the results with TV003 have helped inform dengue vaccine studies about which vaccine formula to use, Dr. Anna P. Durbin, associate professor at Johns Hopkins Bloomberg School of Public Health, said at the teleconference. “We are very happy to say that the first phase 3 efficacy trial of the vaccine started last month,” said Durbin, who led the current study on TV003. The trial is working to enroll 17,000 people between the ages of 2 and 59 around Brazil and address whether the new vaccine can help reduce dengue disease. “Who knows what will happen (in future studies) — dengue is full of surprises,” George said. However, she added that it is unlikely that TV003 would increase the severity of disease among people who have not previously been infected with dengue, as Dengvaxia seems to do. The difference comes down to how the two vaccines are designed. Dengvaxia contains hybrid viruses that are made up mostly of yellow fever virus and have just two molecules from dengue virus. On the other hand, the new vaccine contains the entire virus for all four types, except they all contain mutations that make them much less potent in people. Because the immune system will “see” more dengue virus molecules with the new vaccine, it could develop a stronger protective response to the four virus types, said George, who has received funding from Takeda Pharmaceuticals to study the immune responses to a dengue vaccine the company is developing.